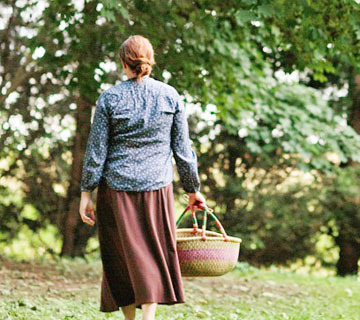 Emma Miller lives quietly with her husband and extended family in her old farmhouse in rural Kent County, Delaware, amid fertile fields and lush woodlands where the whir of Amish buggy wheels and the horses’ hooves on the road are familiar sounds. Fortunate enough to be born into a family of strong faith, she grew up on a dairy farm surrounded by loving parents, siblings, grandparents, great-grandparents, aunts, uncles, and cousins. Her childhood might have been similar to one in much earlier times, as the ring of telephones and the harsh glow of electric lights didn’t mar the peace of her home. Storytelling has always been a family tradition, and early on, Emma learned the joys of reading. She was educated in local schools and once taught in an Amish schoolhouse much like the one in Seven Poplars. Family is the center of her life and her kitchen is always full of friends, family, and laughter.